Preferred Wedding Date and number of guests at your wedding - day and evening. 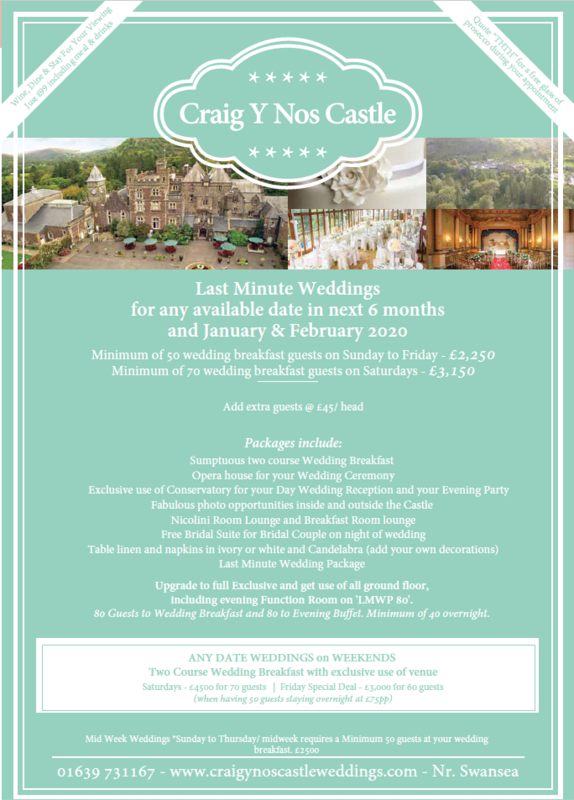 -Special Wedding PackageMembers Wedding PackageMid-Week PackageLast Minute Wedding PackageDon't Know Yet! 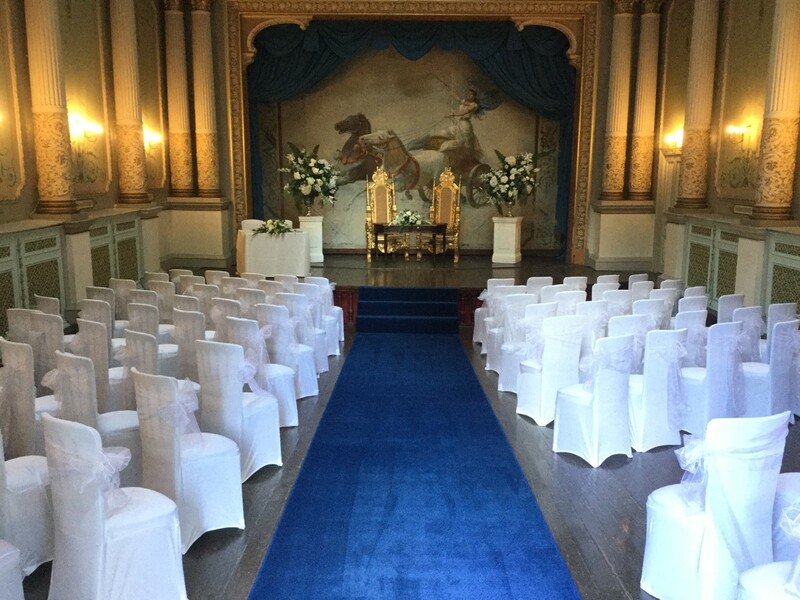 As an example if you wanted to get married on a Thursday in February 2019 you would agree to have 50 people at your wedding breakfast in the day, you can have your Wedding Ceremony in our Grade 1 listed Theatre. You would have a 2 course Wedding Breakfast in our Conservatory. This would cost you £2250, providing you have 20 guests staying overnight paying £75 per person based on 2 people sharing a double room. There would be no extra costs for you, subject to you meeting the accommodation guareentee. As with all our Weddings there are optional extras such as Drinks Packages - for Toasts on table, Welcome Drinks and Wine on tables. We have a number of Evening Buffet Packages from £17 per person or our Evening Entertainment Package for £25 per person that includes a Buffet and Evening Disco. 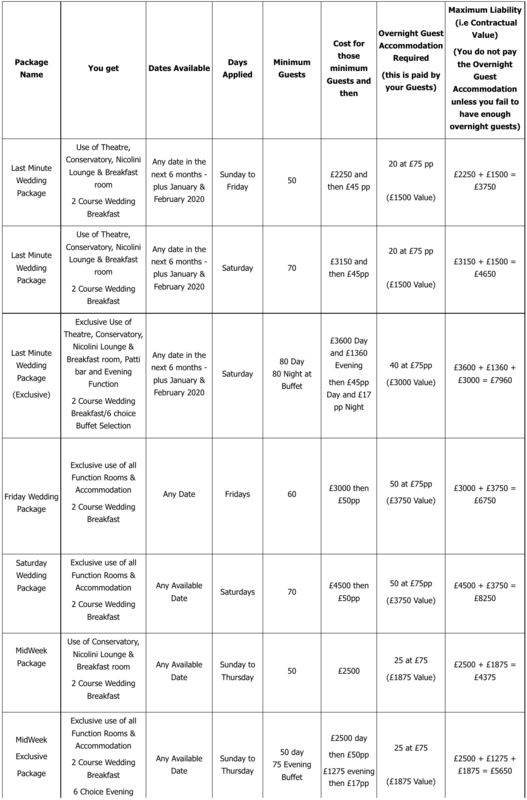 Why not complete the form above, for more details on any of our Wedding Packages and note that if you cannot find what is right for you do let us know as we can tailor a wedding from our Bespoke Tariff, or if you do not want any accommodation but have a large number of guests we have our Members Discount Wedding too.